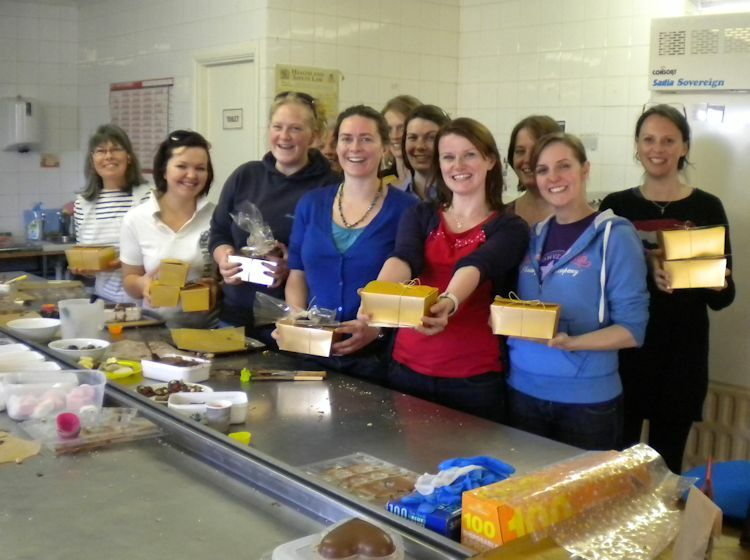 Wondering what unusual activity to arrange for your hen party? A chocolate making workshop has got to be pretty well up the list, hasn't it? A fun and productive session! Learn about what goes on in our workshop, pick up some chocolate making techniques and then get cracking making your very own chocolates! You could even make the wedding favours for the happy event if you can agree on a theme. The cost is £25 per person (including VAT). The minimum is 10 people and we can accommodate up to 15. The sessions will last approximately 2-3 hours and you will take home anything you haven't eaten. Please get in touch for more information and to discuss a date.